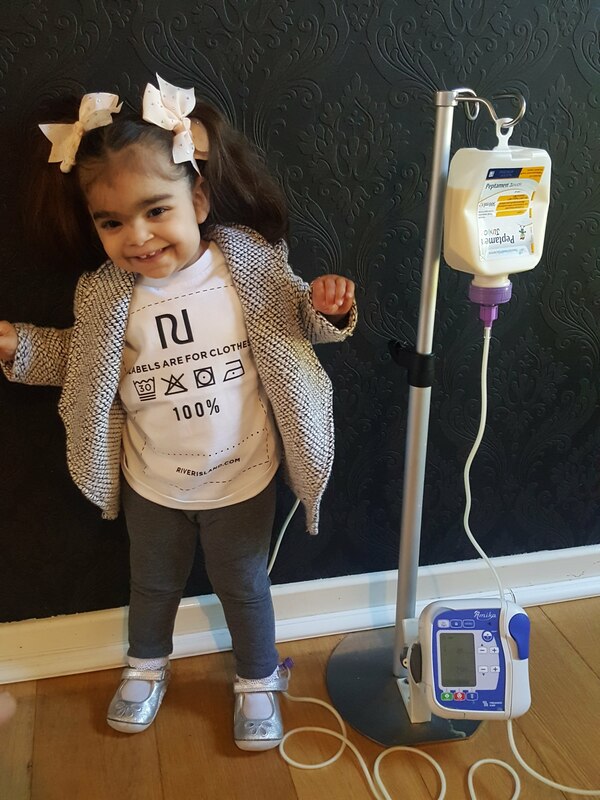 For the second year in a row, the mum of a two year old girl who weighs as little as a baby half her age is raising money for The Sick Children’s Trust. 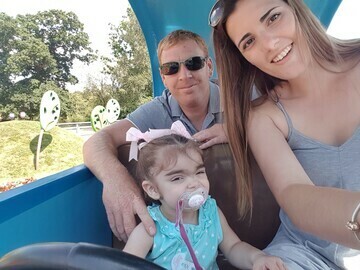 Philippa Rabbitts, 30, from Great Baddow in Chelmsford, is hosting a ‘Stay and Play’ charity event on 15 September to raise money for The Sick Children’s Trust. 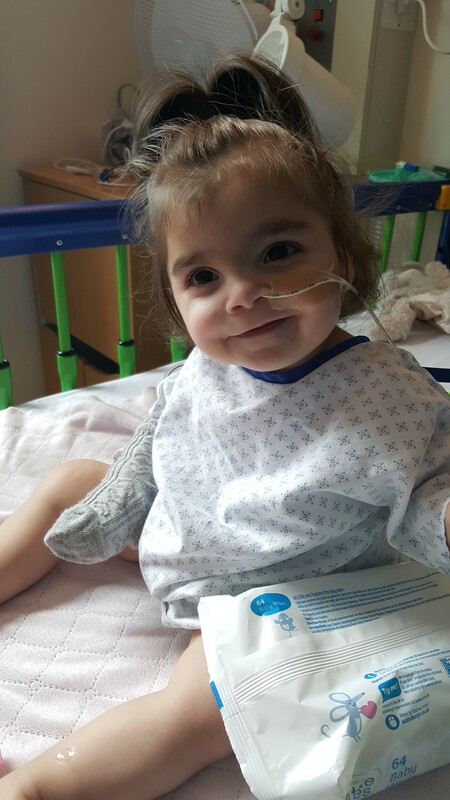 The charity supported Philippa and her partner, Matt Cole, 34, with free ‘Home from Home’ accommodation last year when their daughter, Bella, needed lifesaving surgery at Addenbrooke’s Hospital in Cambridge. 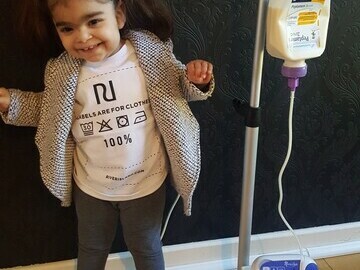 “Bella turned two in June but as she still has difficulty feeding and gaining weight, she’s only the size of a ten month old baby and weighs just 19lbs. She is well in herself, but is still sick every morning and evening. 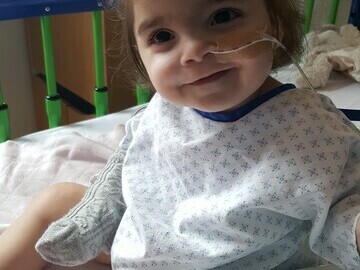 Doctors don’t know the cause of her condition, but we’re just grateful that she is gradually gaining weight and making progress. “The ‘Stay and Play’ event will take place at 14:30 –16:30 at Cheeky Monkeez Play Centre, South Woodham Ferrers, and the ticket price includes face painting, a Moo Music session, a lunch box and party bag. There will also be a tombola and character appearance so it’s set to be a really fun day! If you’re free, please come down and join Bella at her playdate to help fundraise for such a worthwhile cause. Tickets to ‘Stay and Play’ are £10, to buy tickets or to donate prizes to the raffle, please call Philippa on 07969 544 939 or email at: [email protected].